Travel back to 1988 and kidnap the Super Mario Bros 3 design team. Put the Super Mario Galaxy development team under SMB3 designers. Have James Cameron be a senior producer of the 3D department. 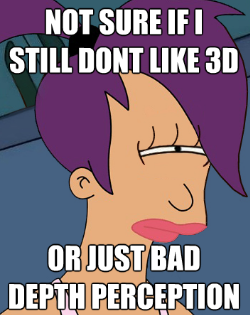 First, the 3D is actually useful. Forgive the pun, but the 3D element of Super Mario Land actually adds a new dimension to the game play. Some of jumping puzzles can be quite challenging, and having depth perception is very helpful to gauging your jumps. Just to put this into perspective, yes that was another pun, I have only ever turned the 3D on while playing this game. However, to be honest, I still don't usually leave the 3D on the whole time that I am playing; but I do try using the 3D before I fall back on the golden tanookie leaf. Second, it has a perfect challenge curve. Professional game reviewers all seem to agree that good games should be easy to play, challenging to beat, and very difficult to complete. Super Mario 3D Land seems to agree with that philosophy, as it follows it to the letter. I blew through all eight worlds the first week I got it, and now I am crawling through the super frig'n hard special worlds. To be clear, the special worlds are not just harder; they also add fun new mechanics (Shadow Mario) and game play modes (timed runs) that really contribute to the replay value of the entire game. It has taken far too long for the 3DS to finally get some games that made the investment in the hardware worth it, but that at least that time has finally come. Even though I don't much care for 3D technologies, I must still confess that this game got it right. Super Mario 3D Land is just a platformer, but it is a truly masterful platformer that acts as the perfect cornerstone for this young game console. ASP.NET MVC is even more configurable than you think! Routes are registered in the Application Start of an MVC application, but there is no reason that they have to be hard coded in the Global.asax. 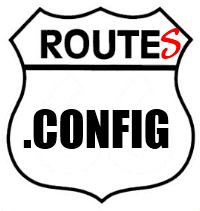 By simply reading routes out of the Web.config you provide a way to control routing without having to redeploy code, allowing you to enable or disable website functionality on the fly. Download MvcRouteConfig.zip for the project and a sample application. Update 2/16/2013 - I have added this source to GitHub and created a NuGet Package.